We understand that corrosion, moisture, dust, oil, water, UV ray, rodents, road grime, scratching, weather condition, temperature etc. 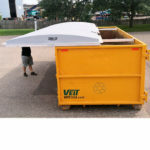 are hazards to various investment and heavy duty equipment while in use, storage or transit that is why we provide custom covers to keep these materials in good and working condition. Our priority is ensuring that our end client is satisfied with the custom cover provided for their investment. Are You Having Equipment Size Issues? Before now, some of our customers who have larger equipment has failed to make use of covers for their equipment not because they could not afford it but because they feel the equipment is too big for a custom cover to be provided for such equipment. ALCO custom cover will amaze you by providing the exact fitted size of that very large equipment you never thought could be covered. With advanced technology and expert of over 20 years of experience in covers, there is always a custom cover for your equipment or delicate materials. ALCO covers over time has gone beyond the imaginable in producing covers for protection of farm machinery, industrial equipment, and recreational machines. In the production of ALCO covers, advanced fabrics are used bearing in mind that environmental hazards damage equipment and such damage cannot be predicted. Our covers are designed to be tough, lightweight, easily installed and removed to provide a snug fit which keeps equipment safe from dust, moisture, dirt and road debris while the interior prevents etching and scratching and all forms of physical damage. Getting a cover for your equipment does not put an end to your cover challenge, but getting a cover that has the strength to take on harsh weather. ALCO custom covers with heavy duty, reinforced, high strength poly covers has the needed features to withstand environmental hazard and last long as they are unique in their designs. What has been your barrier for not investing in covers for your equipment? Call us now and we will recommend the best cover for any equipment. ALCO covers are made with waterproof fabrics that will serve in all-weather condition, we take pride in our covers as they are designed to suit your equipment in different colors and company or business logo. The following are practices that should be carried out in other for covers to reach its complete lifespan. Make sure your equipment is covered when not in use or in transit. Ensure there are no dips on your covers to avoid water buildup. Check your equipment over time for total closure when not in use. Covered equipment should be placed in positions where they cannot be disturbed.